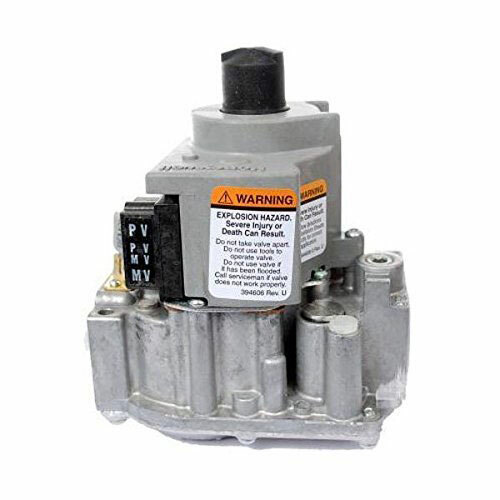 Honeywell VR8345K4809 universal electronic ignition, slow opening gas valve 3/4" X 3/4" with NG to LP conversion kit. Used with intermittent pilot, hot surface pilot or direct spark ignition 1/8" NPT inlet and outlet taps on top of valve to allow adjustment in problem installations. Multipoise mounting allows 0° to 90° installation Includes terminal block, pilot plug, two 1/2" x 3/4" reducer bushings and one 1/2" x 3/8" bushing (except L41-696).